Live provides the convenient answers that customers want and adds great benefits to the staff and bottom line of companies. Read more here! When customers go online shopping, they are oftentimes disconnected from someone who could answer their questions in real time with precision. Most businesses have been adding live chat support rather than watching potential customers click away from their e-commerce sites. 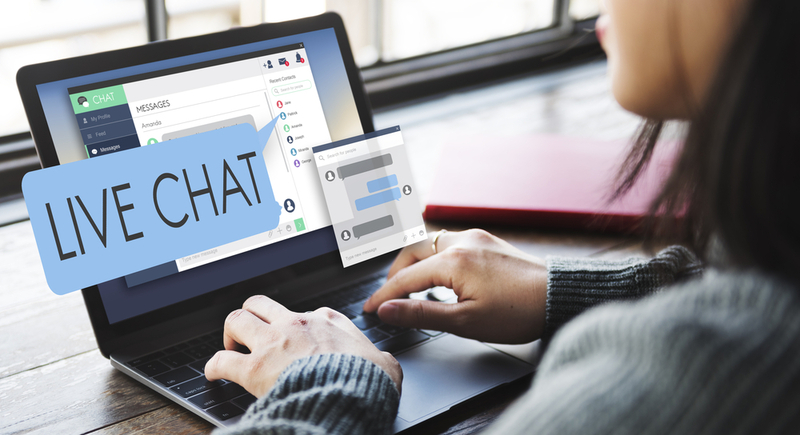 And as it turns out, live chat is able to provide the convenient answers that customers want, while also adding great benefits to the staff and bottom line of companies. An online chat system brings customers immediate access to help. Wait times are usually much less than a call center and customers could easily multitask while waiting. Also, the pain of having to dial a customer service number and navigate through a maze of numeric options is non-existent. It could save on both employee task time and phone expenses and decreases overall contact center costs by lowering average interaction costs. It increases efficiency by allowing live chat representatives to handle multiple chats simultaneously, therefore reducing the need to hire more representatives. With employees spending less time talking on the phone, they could multitask during chat conversations and cut the waiting time to a fraction of its former size when compared to a call center. Not only is this a process improvement but it increases the chances of sales overall. With live chat, customers to have access to someone who could easily walk them through a sale if they happen to get confused or have a question that can either make or break a sale. This helps eliminate bounces away from retail websites and ensures that full shopping carts make it through check out. When customers are engaged with an employee who could understand their needs, the employee is in a perfect position to recommend additional purchases that might be the perfect fit for that particular person. If you would like to gain an edge on the competition, live chat is a key feature that websites need to have in order to be competitive and to hopefully rise to the top. Live chat is beneficial because it provides a simple way to connect with customers who spend a great deal of their money online.The cost savings and convenience for both staff and customers makes live chat not only a viable option for current businesses, but an essential tool for any business that thrives on providing excellent customer service. A customer’s frustration or need that has yet to be filled is referred to as a “pain point.” Marketing teams oftentimes mine social media and message boards for these customer pain points. Live chat brings immediate access to customers’ pain points. While a customer is using live chat, they will try to ensure that a product will perform as advertised or that a promotion will provide the discount they want. Would you like to add live chat to your website? At Cuselleration, we make website development simple and easy for our clients. From discussing your overall digital goals during our initial design consultation to training your staff on website administration after the site is launched, our web experts are with you every step of the way. Click here for an in depth description of our custom web design services.